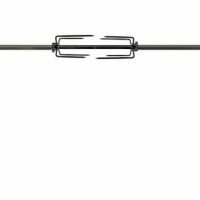 These 31 inch long bamboo skewers are perfect for toasting marshmallows or hot dogs over your campfire or even on your grill. 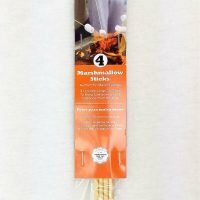 Long Bamboo marshmallow roasting sticks 4 pack. Long enough to keep you away from the heat and environmentally friendly. They are pointed at one end for easily skewering and food and blunt on the handle end. 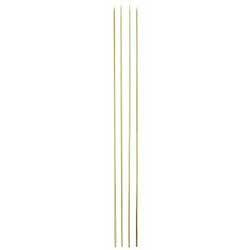 Bamboo skewer tips: Bamboo marshmallow roasting sticks can burn when exposed to an open flame. `To prevent the bamboo from burning below your skewered marshmallows wrap the uncovered lower portion in tin foil. To prevent the tip from burning just keep it covered with food. Marshmallow roasting sticks can be reused if they are not damaged. To clean just soak in hot water (do not use soap the wood will absorb it) and then scrub clean with a scrubber of some kind. Always check for splinters between uses. Soaking bamboo marshmallow roasting sticks is something we used to recommend but it only delays them burning for a short period of time. We now recommend protecting them with a layer of tin foil. 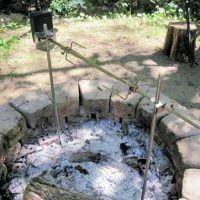 Something different to try: Skewer your marshmallows in the center of the skewer and lay it into the groves of your grill where your rotisserie is supposed to sit. You can toast a bunch of marshmallows at the same time this way! These are packaged in a long plastic bag with a cardboard header. When you first remove your marshmallow roasting sticks from the package we recommend: Cutting the plastic at the bottom with a pair if scissors. That allows you to use the bag for storage and transportation. 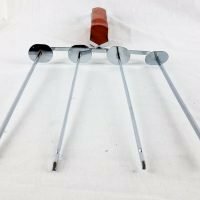 Just place the skewers in pointed end first. 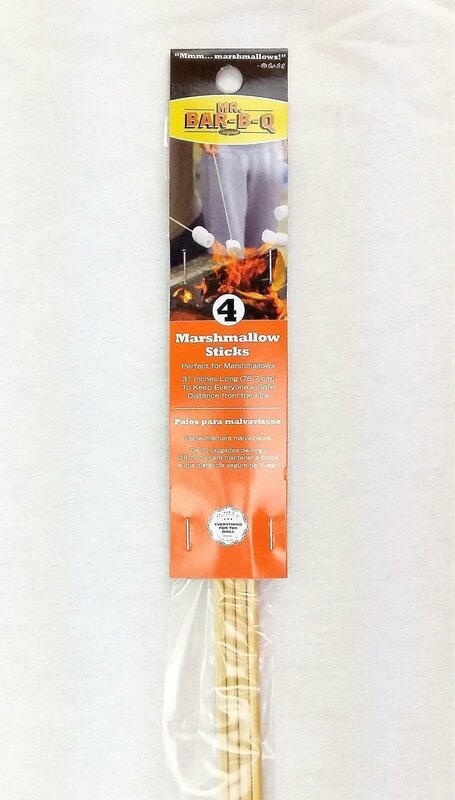 Marshmallow roasting sticks can create many memories of your family and friends sitting around a campfire. 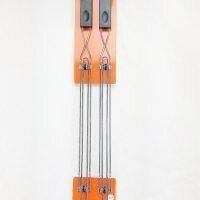 They can also be used with your outdoor fire-pit or in your fire-place. Anywhere you have an open flame and want to be away from the heat. Thin sticks so they burn through easily. 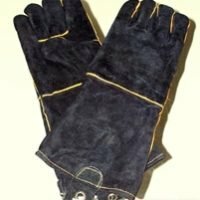 Most of the cost is in the shipping so they are expensive.